On Sunday 15th November, Aljory Jhon Boje became a postulant within the Society of Mary. Postulancy is a period of preparation for novitiate and lasts for one year. 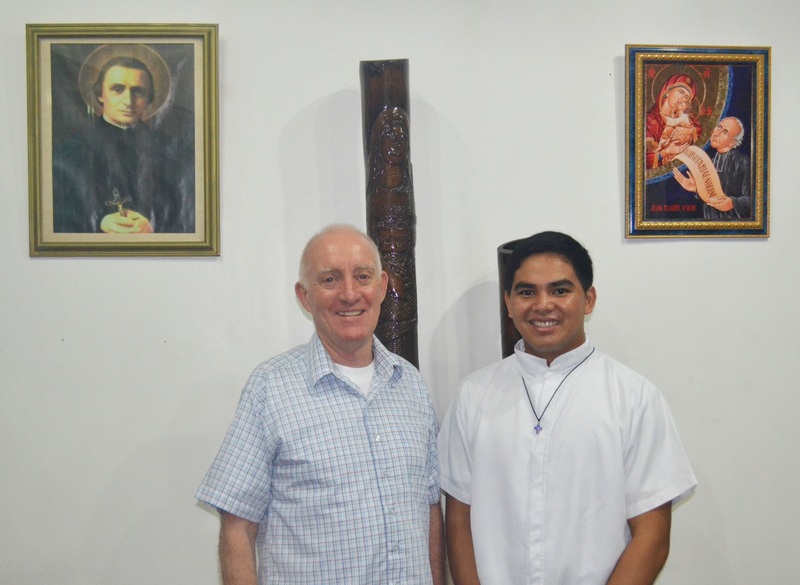 Becoming a postulant brings to an end Jhon-Jhon’s three and a half years as an aspirant in the MICS (Marist Interested College Student) program. 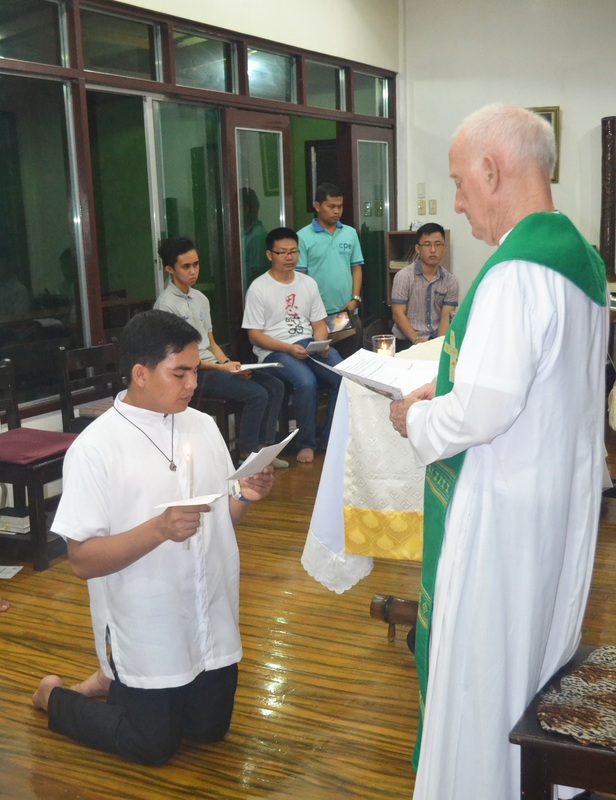 Fr Pat Devlin SM, Major Superior of the District of Asia, admitted Jhon-Jhon to postulancy during a rite celebrated at the St Peter Chanel Formation Community. Originally from Kaos, in the former Marist parish of Timanan, Maguindanao, Jhon-Jhon is 22 years of age. 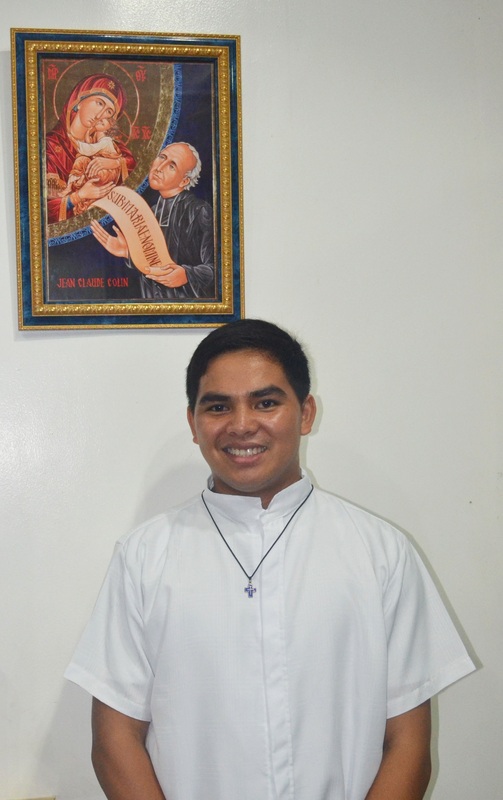 Having studied mechanics before entering the Marist formation program, Jhon-Jhon is currently completing an AB Philosophy degree at St Francis Xavier College Seminary. Congratulations, Jhon-Jhon, on this important step in your vocation journey! Delighted to read the news of Jhon Jhon’s commencement of postulancy! dugay dugay pa na jhon.pag antos may dalang tinood nga kalipay para sa Ginoo..